Navigating the waters of high energy options can be tough, because so many companies will try to get you to take their “energy products” and supplements. But when you’re trying to eat foods that give you real energy and avoid all of the man-made junk out there, it can be confusing. Which foods act as actual energy boosters, and which ones will slow you down? We’ve broken it down for you so you can choose foods that will give you energy all day long, as well as those that will give you a sudden burst to propel you right away. Think of each meal you have as a way to keep you feeling good and energized until your next refueling. Here are some foods you can use in conjunction with each other or added to a meal to meet your energy needs. 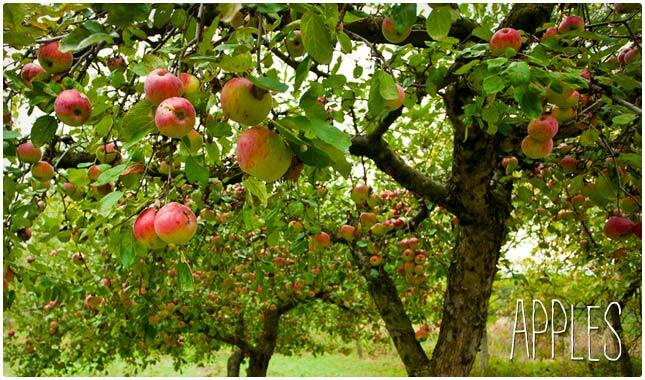 Apples are a great food to have in your daily diet because they provide a wide range of vitamins and minerals that your body needs, including a good amount of fiber. They say an apple a day keeps the doctor away, but it also keeps you fueled through the day. They are super handy and easy to take with you while you’re out and about. They make a great workplace snack, or a nice side item at lunchtime, and it should be counted as a carb if you’re balancing it with a protein. Apples live up to the hype and you really can’t go wrong opting for this as an energy booster. One great vegetable to add to your energy-producing line-up is peppers. They can be eaten in a recipe, or simply washed and cut up into sticks for dipping into things like hummus for added energy. They not only work as an energy food, but also help you to curb your appetite, making them great for times when there’s a few hours until your next meal and you’re feeling like you’ll eat just about anything. Reach for the peppers instead and you’ll be able to squash those cravings while getting the energy you need to keep charged and active. Hummus is made from chickpeas and provides a nice source of slow-burning carbohydrates that will keep you going for a few hours. It makes a great snack, especially when you use other energy-giving foods as a dipping utensil. Some favorite hummus dippers: baby carrot sticks, celery sticks, bagel chips made from whole wheat, cucumber slices, and more. There are many version of hummus, so be sure to pick ones that don’t have a lot of added ingredients because some of them try to sneak in unhealthy oils and other additives. Keep it simple and enjoy the taste and energy. The great thing about carrots is the different forms they come in that make them easy to have around as a go-to option. You can get baby carrots which are the perfect size for snacking and require zero prep. You can quickly make your own “carrot chips” by slicing them into circles and you can use them to dip into hummus for added energy. You can also simply cut regular carrots into sticks and enjoy a crunchy snack that will give you guilt-free energy with no crash at a bare minimum of expense. Celery might not be the most appetizing veggie on the block, but it will keep you going because it’s light, full of water to keep you hydrated, and fiber to keep you regulated. It also goes well in a salad or added to most soups. You can also add it to a green smoothie to help water it down and add extra fiber and nutrients to it. Dipping celery in peanut butter is a great way to make it taste good, while adding healthy fats and protein to give you energy that lasts and lasts. 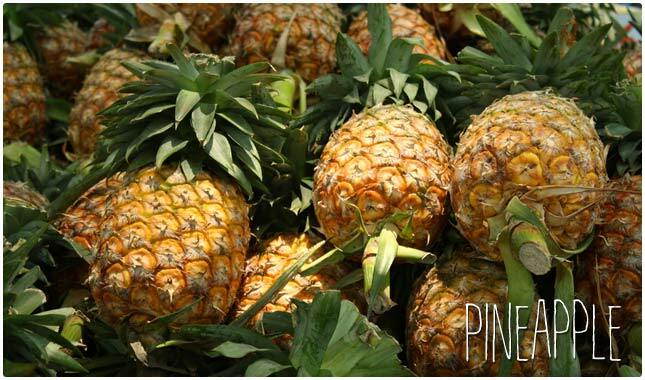 Pineapple is one of the best anti-inflammatory foods you can eat, thanks to its bromelain content. The manganese it contains is what helps with energy output and pineapple is a very healthy fruit in many other ways. It has plenty of vitamin C so you’re getting antioxidants, and the familiar flavor can wake up your taste buds if you’ve been eating otherwise bland foods. You can enjoy it in a fruit salad along with other energizing foods, which makes for a great breakfast option, or you can use it as a snacking solution that will keep you feeling good until lunch or dinner. Oatmeal is often given credit as a very energizing breakfast and a great way to start off your day. Avoid the instant oatmeal packs that contain a lot of sugar and artificial flavors. These might help the oatmeal go down, but could negate the energetic value of oatmeal and give you a sugar crash instead. Oats are a great source of complex carbohydrates and fiber to help give you slow-burning energy all day long. Check out our list of overnight oats recipes to give you some ideas about how to incorporate them into your diet. Granola is a nice energy-producing food and it pairs nicely with Greek yogurt and fruit for a smart breakfast. You can also just eat a handful of it to sustain yourself between meals, so it’s very versatile. When choosing which granola to go with you’ll want to find a kind that contains all natural ingredients and not a lot of added sugar. Since granola can be rather bland by itself, many brands end up adding to it in order to make it more palatable. You can also make your own granola at home so that you can act as the quality control manager. You can sip on your favorite herbal tea throughout the day for added energy, since many herbal teas are really nothing more than a spice or an herb mixed with hot water. You’ll be getting the essence of those ingredients and they’re easily absorbed by the body thanks to the liquid form you’re taking them in by. Green tea is a good choice, but if you’re looking for energy without the caffeine you can make a ginger tea, or a ginseng tea. You can try several different ones and see what your body responds most to. Taken between meals, teas can fill that void and give you what amounts to long-lasting energy. Quinoa is a very special food for many reasons, including its protein and giver content, but it also acts to help sustain you by being a complex carbohydrate. It’s also a great energy source if you’re working out, thanks to the essential amino acids it contains. It can be used as a side dish, or used as the main attraction to a meal, thanks to it’s nutritional breakdown. There are plenty of quinoa recipes that can give you ideas on how to fit this into your menu planning, as well as a tutorial on how to cook quinoa so you should be all set. Here’s a yummy power-up that you’ll be happy to include in your regular menu. 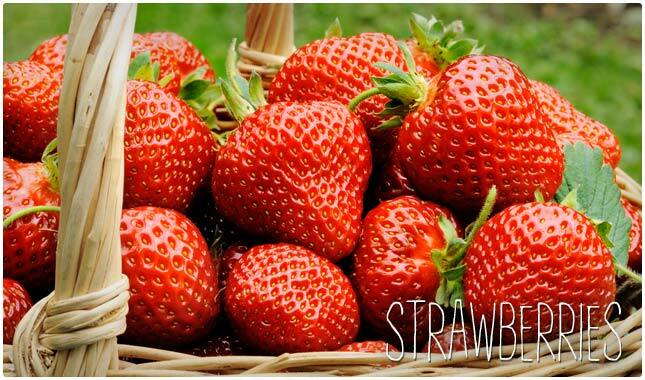 Since these taste so good many don’t realize just how much energy you can get from a serving of strawberries. It’s important not to sugar them up to the point of suffering from a sugar crash, and simply eat them all natural with no doctoring. They go well with other fruits like pineapples, or you can enjoy them solo. If you want to sustain long-term energy from them you can use them as part of a light and healthy lunch by pairing them with a protein as well as a healthy fat source. Cucumbers are a very hydrating vegetable and are made up of mostly water. They contain decent amounts of vitamin C, are great when you’re on the go because they travel easily when cut into slices or sticks, and are perfect salad toppers. Go with organic cucumbers whenever possible because the thick skin means they’ll absorb a fair amount of pesticides if grown conventionally. Cucumbers contain an eclectic mix of some of the best vitamins you can put in your body, including vitamin B5 which specifically helps to boost your energy levels. Start eating more cucumbers and you’ll notice the difference right away. The right mix of protein, carbs, and healthy fats is what provides you with long-term energy, and you simply can’t pick a better protein option than salmon. Salmon has the added benefit of not only being rich in protein, but omega-3s which can help with inflammation and make you feel more like yourself. Salmon can be cooked many different ways, and is great when paired with a veggie and a complex carbohydrate. You’ll feel full and energized for several hours if you get the combination correct. Try a salmon ceasar salad for lunch on a bed of spinach and with cucumbers in place of croutons. Eggs are a protein-packed way to start your morning, which makes them an especially good choice for those that are lifting weights as part of their fitness agenda. We recommend eating whole eggs so that you get the vitamins and nutrients from the egg yolk and not just the egg white. Eggs are often used as part of a fitness routine that involves lifting weights to help build muscle. More lean muscle will give your body more energy on a day to day basis. Check out these exercising tips to help you get started. Beans are a fantastic choice if you need energy not just now but over the next few hours. They’re digested slowly by the body so the feeling of being full, satisfied, and having adequate energy lasts and lasts. Beans are the perfect side dish to a protein because they help round out that protein with some of their own, and provide fiber to help the meal get processed through the body. Sub out black beans for a coma-inducing starch like french fries the next time you’re out to eat and observe the difference in how you feel. 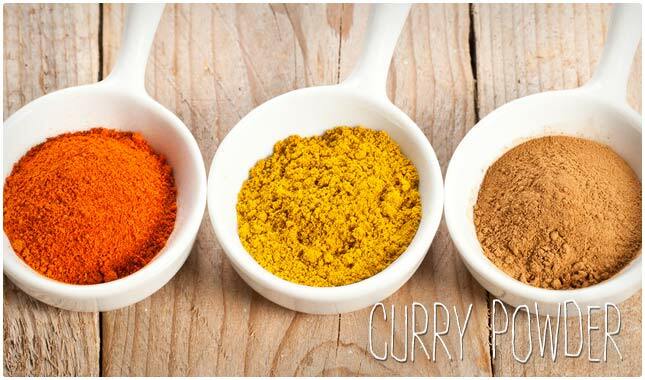 Curry spice provides a nice boost in your energy, and as long as you’re eating a meal with curry that covers all of your other nutritional needs it should make you feel more alert and active after you eat it. 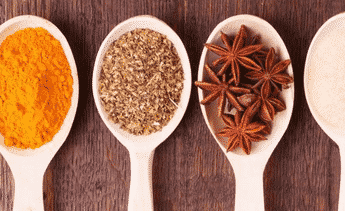 If you’re unfamiliar with how to cook curry, there are several recipes to try that include this spice, and will walk you through the steps. Become adept at just a few curry recipes and they can become regular additions to your regular menu, adding nutrition and wholesome energy to your day. Not getting enough water is the number one reason why many of us feel run down and sluggish through the day. It can be hard to remember to drink water, especially in this hectic society we live in, but it’s crucial to stay hydrated. You’re also getting water from some of the foods you eat, but it’s important for your energy levels to make sure that you’re well-hydrated. If you notice that your urine is dark and not very plentiful you’re in serious need of a glass of water. It’s possible to drink too much water, so gradually increase how much you drink each day until you reach the right zone. Is there anything spinach isn’t good for? It’s one of the healthiest foods you can eat, plus it’s going to provide you with energy that will get you through the day, or at least until your next well-balanced meal. It forms the foundation to just about every green smoothie recipe we could find, and for good reason. Once for once this is a nutritional heavyweight, and can’t be ignored. Sub out nutritionally inferior iceberg lettuce with baby spinach leaves for your salads and notice your increased energy levels. Fresh or frozen you’ll be doing your body a favor, giving it more energy and helping it battle diseases of all kinds. Lentils are another food that is digested slowly by the body and has a nutritional makeup that helps add to a balanced diet. They are very easy to cook, and you can boil up a batch of them and store the leftovers for a few days. They’re also an inexpensive food, with a generous-sized bag costing only a few dollars. They go well with just about any meal, and they’ll help you feel full without bogging you down like some foods. Be sure to soak your lentils overnight before cooking if you find them hard to digest. Greek yogurt came onto the scene quickly and is fast becoming the more popular yogurt when compared to ordinary yogurt. It can serve as a sour cream replacement and is a better all around food than regular yogurt because of its increased amount of protein. This means that by itself it is a more well-rounded food, providing both carbs and protein as well as digestive enzymes. This is one food that can serve as a snack all by itself and get you through a spot of low energy. You can also use is a side for a protein at lunch, like grilled chicken breast, so that you feel great all afternoon. 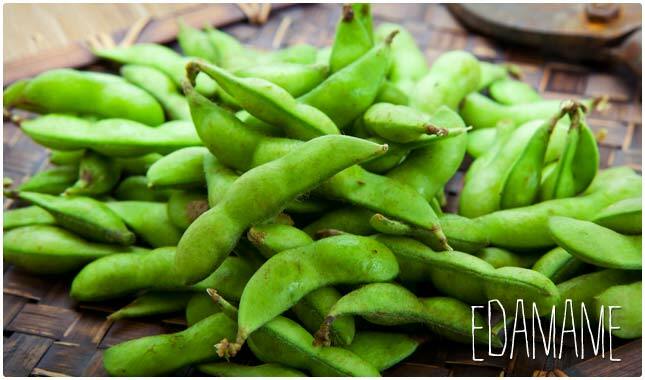 It’s the B vitamins in edamame that work the energy magic. While you may not be used to eating this soybean you should seriously consider keeping it around as a handy snack. It’s great for times when you need to get some quick energy but want it to last for a few hours or so. They’re also fun to eat since you break open the pod to eat the soybeans inside. In Japan, they are often served as a snack food and are becoming more popular on American menus as an appetizer. Choose between watermelon, honeydew, and cantaloupe, or have them all together. You really can’t go wrong with this as a high-energy food choice. All three of these melons contain antioxidants, taste great, and will give you real energy, not the kind of that comes out of a shiny can, but the kind that comes from nature. Melons. along with other fruits and vegetables, absorb the energy from the sun while they’re growing and transfer this to you when you eat it. That’s why artificial ingredients and synthetic energy drinks don’t provide real energy, just a scientific parlor trick that eventually brings you down. Here’s an easy-to-make food item that can give you energy for the long term. It’s made out of cornmeal and it’s possible to make a batch of it and eat on it for a few days, making it very convenient. It’s another complex carb and you may notice a many others on our list because they’re so good at providing long waves of energy and making you feel great, even if you’re on a diet and getting fewer calories throughout the day. This is one food that you can turn to even if you’re on a gluten-free diet as it is a grain that contains no gluten. You’ll see brown rice being offered more and more as a substitute for white rice. That’s because it is digested by the body differently, and won’t lead you to be hungry just an hour later. It’s broken down more slowly by the body and it has additional nutrients that make it a strong choice for those that are looking to get the most energy through the foods they eat. Served as a side next to a high quality protein like salmon or chicken breast, you’ll be concocting a well-balanced meal that will have you cruising through your day. No list of energy foods would be complete without broccoli. This is one vegetable that you should be eating more of anyway, even if it didn’t provide you with energy. But it does, so try to get more of it if you’re loath to eat it. It has protein, fiber, a host of different vitamins and minerals, makes an instant side dish, or can be added to a recipe for an instant nutritional boost. The vitamin C content alone is going to help your body battle free radicals which will make you feel better, and less lethargic. Here are foods that you can use in place of false energy products like energy drinks, caffeinated sodas, or coffee. They’ll provide real energy that your body can use, without the subsequent crash that comes with other methods. 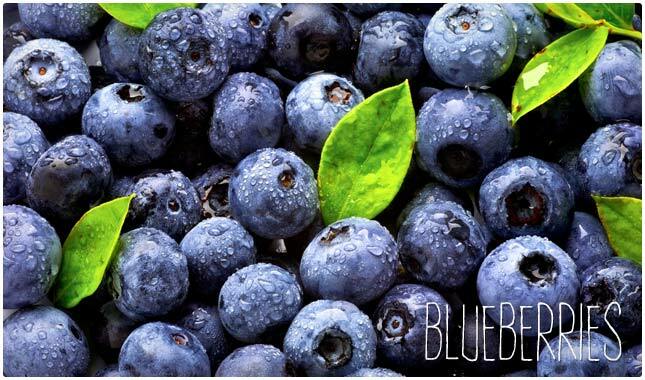 The nice thing about blueberries is that they’re delicious, they travel well, and you can pop them like candies so they’re fun to eat. They also have a boatload of antioxidants in them so they’ll help your body battle back the free radicals, which will lead to increased feelings of energy, and overall well-being. Keep in mind that when using all-natural foods like these in lieu of potent energy drinks and other chemical-laden products the results may not be as in-your-face, so you’ll have to be a bit more patient with them, but it’s worth it. Bananas are renowned for their potassium levels, and low potassium can lead to feelings of weakness and lethargy. One fantastic thing about bananas is how conveniently portable they are. They’re nature’s fast food while on the go, and you can literally peel one open whenever you need a quick boost of energy. They also help hold you over until your next meal, and are approved on many diet programs. They’re also more than just a one-trick pony. They have respectable amounts of vitamin B-6, a water soluble vitamin which provides you with energy and needs to be met on a daily basis as your body can’t store it. Almonds are hands down one of the best ways to give you instant energy. Grab a handful and in the palm of your hand you have enough crunchy goodness to help retain your mental focus, curb your appetite, and just plain make you feel good. They go with you anywhere, require no refrigeration, and are ready to eat whenever you are. We haven’t seen a diet plan or program yet that doesn’t advocate the eating of almonds, from low-carb diets all the way to caveman diets like the Paleo diet, almonds are always brought in as a way to give you healthy fats, build muscle, and sustain your energy levels. You might not think of eating popcorn as an energy inducer if you only have it during movie time. But if you’re going to enjoy popcorn as an energy burst make sure you do it right. Pop your own organic popcorn and use a dash of sea salt for flavor. Avoid microwaved popcorn or move popcorn and all of the extra chemicals and calories they contain. You can air pop your popcorn, or use an oil like coconut oil that is going to aid your cause, not detract from it. And be sure to keep portion sizes reasonable, when you feel satiated, back away from the bowl! You can use dark chocolate as a nice pick-me-up midday or as an aperitif before dinner. It contains antioxidants that will give you energy, but you’ll still want to keep portions in check and use it as a treat if you’re dieting as well. You have to make sure that it’s dark chocolate, as milk chocolate contains added sugars which may give you an initial feeling of more energy, but will result in a crash in all likelihood, with a net result of feeling more depleted than before you ate it. 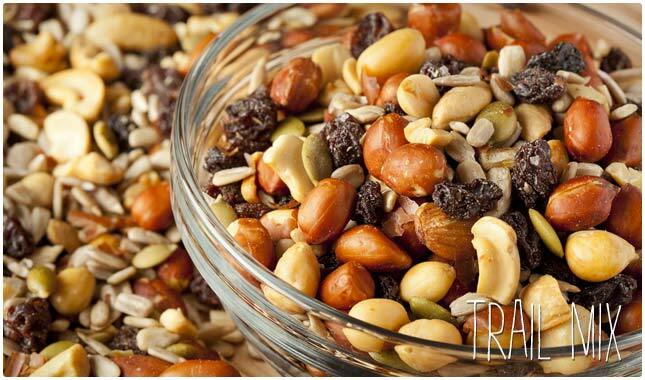 While not a single food, a handful of trail mix can keep you going for several hours. The good thing is you don’t have to be on the trail to enjoy it, it can quite easily be called Cubicle Mix, or Running Errands Mix depending on where and when you need it. The combination of nuts with dried fruits gets you healthy fats, carbs, and antioxidants just be sure not to overdo it. Pop half a handful at a time and then wait five or ten minutes to see how you feel and if you still need a bit more. These little guys are getting more and more attention as a seed that provides fantastic health benefits, including sustained energy. You can make your own, or you can go the easy route and buy them ready-made at the store. Whichever route you go they’re easy enough to keep around and snack on throughout the day. They not only provide quick nourishment, they’ll keep you sustained for a few hours so that you can make it to your next top-up. They also make a great salad topper or sprinkled as a garnish on top of most any main dish. Coconut comes in many forms and you can use any of them as a way to increase your energy levels. One quick way is to drink coconut water instead of drinking a caffeinated soda or coffee. This will provide you with an energy burst but without the resultant sugar crash that comes with those other beverages. There are ready-made coconut waters available so it’s just as easy as reaching for a soda or energy drink, but without the unwanted side effects, and with added nutrients and benefits. It may not have the same snazzy packaging or million dollar ad budget, but it still gets the job done. If you’re feeling run down you can simply have some avocado, straight up and all by itself. You’ll be surprised how filling it is just on its own, and with the potassium shot it provides and the healthy fats it contains you’ll be hitting some very important energy-producing checkpoints to make you feel great right away. The nice thing is that they’re pretty portable, as long as you bring a paring knife with you you can quickly cut them up and eat them just about anywhere. This is an up-and-coming energetic powerhouse that contains plenty of antioxidants and they pack quite a punch so you’ll feel the effects pretty quickly. You’ll see there are many products that are trying to incorporate them into energy bars and other items, but what you really need is just a small handful of raw goji berries to chew up when you’re feeling run down. Taking a long-term view you’re helping your body prevent things like cancer, heart disease, and other conditions that can result from too much free radical damage. The same can’t be said for other synthetic energy products. Remember not to rely on one specific food for your energy needs. Give your body an array of foods as each has its own nutritional profile so you need to broaden it by eating a variety of foods. Balancing proteins, carbs, and fats is the key to feeling good all day long, and your job is to eat balanced meals throughout the day, each designed to get you to the next meal, with dinner designed to get you to bedtime. With snacks at strategic points you should have no problem feeling energized as you go about your day. What are the best energy foods before running? If you’re going to be running long distance, you’ll want to focus on carbohydrates, typically referred to as “carb loading” before a run. This is because your body turns to carbs as it’s preferred source of energy. Popular choices include bagels, bananas and berries, yogurt, and other foods that offer a good amount of carbs as well as added nutrients and minerals. What are the best energy foods before a workout? Perhaps you like working out on an empty stomach, but it’s actually a good idea to have a little snack or even a protein shake before you workout so that your body has fuel to power you through the workout. If you show up with low energy reserves you won’t be able to give it your all and you’ll have a less effective workout. Popular choices include all types of vegetables including sweet potatoes, or other foods that are low on the Glycemic Index, like oatmeal. What are the best energy foods for breakfast? There are better options for you than the traditional bowl of cereal, ones that can give you a better start to your day and get you all the way through to lunch with no problem. Try oatmeal as potentially the best cereal replacements. Eggs are another popular breakfast food that you can use, and also consider an item like spinach, which goes great with eggs and packs loads of energy. What are the best energy foods for kids? The best advice is to try to keep things well-rounded for kids, and don’t let them gorge on just one food item because it’s thought to be the nist energy-packed. Kids also need to keep things in balance so make sure that you pair a protein with a carb and choose foods that have good vitamin and mineral profiles. Celery sticks or apple slices with peanut butter is a good pairing, or baked chicken nuggets with sweet potato fries is a healthy alternative to fast food fare. Check out some more kid-friendly snack ideas here. What are the best low calorie high energy foods? This is a tricky one because many high energy foods also contain a good amount of calories. Think vegetables and fruits for this one, as they’ll give your body antioxidants in the form of vitamins as well as your trace minerals without adding much to your caloric load. Vegetables like celery and cucumbers rank low in calories. And don’t forget to drink your water as this is a zero calorie option that will have very immediate energy results. What are the best energy foods before swimming? Greek yogurt, bananas and other fruits, as well as bagels can all be used before swimming in order to help propel you through the water. You might have heard that Michael Phelps would consumer over 12,000 calories a day while training. You don’t have to mimic that regimen, but since you’ll be using fuel you will need to fuel your body properly. Which energy foods are suitable for diabetics? 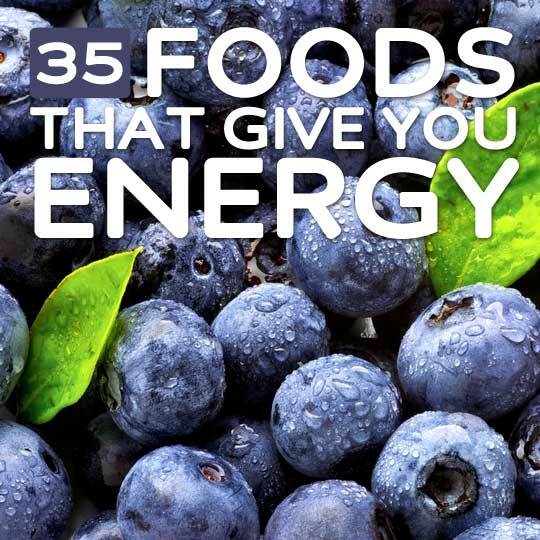 If you’ve been perusing our list of foods that give you energy and couldn’t determine which ones you can enjoy as a diabetic, here are the ones that we’ve covered that you can take part in: blueberries, beans, broccoli, carrots, apples, melons, almonds, oatmeal, spinach, edamame, herbal teas, and Greek yogurt. These can be eaten without a noticeable spike in your blood glucose levels, and should give you the energy you need. Which energy foods are suitable while on a diet? Most diets will be full of foods that give you energy, and will have you cutting out the foods that weigh you down both in the short term and in the long term. Many of the approved carbohydrates on the most popular diet plans will be a source of energy, and when balanced with a protein you’ll feel ready to go all day. Check out our article here on the best carb foods for optimal energy levels. Which energy foods are good while on Paleo? Some of the best foods to eat for an energy boost while doing Paleo are nuts and lean meats. You can also stick to the list of Paleo approved fruits and vegetables as anytime sources of energy. The diet boasts high energy levels for its followers so energy should not be a problem while on it. Which foods zap your energy? Foods that are heavily processed with refined sugar will get burned up by the body quickly and will result in an onset of fatigue and leave you feeling depleted. Also, foods high in unhealthy fats like fried foods will weigh heavily on you and give you that sluggish feeling. Eat complex carbs and lean meats that have been roasted or grilled for sustained energy. What are some raw vegan energy foods? The great thing about eating raw and vegan foods is that you’ll avoid many of the foods that can bring on the yawns. Sticking to fruits and vegetables, beans and legumes, as well as whole grains will keep you feeling alive and ready to take on the day. By keeping your food raw you will naturally avoid foods that are deep fried, and by keeping things vegan you won’t be slowed down by fatty meats and should feel lighter and ready to go. Why are carbohydrates and healthy fats considered high energy foods? If you stick to complex carbs and foods that contain healthy fats you’ll likely experience higher energy levels than you would with other food types. Complex carbs are broken down slowly by the body and that’s why you feel satiated longer, and feel like you have the get up and go that you need for an active lifestyle. Why is it unwise to use protein foods as energy foods? Protein is primarily used to help build muscle in the body, and for this reason it is good to use it before or after a workout to feed your muscles. But throughout the day if you’re looking for sustained energy levels, eating protein alone may provide you with some energy but may not be the best choice on its own. Make sure you balance it out with a wholesome carbohydrate so that you’ll feel great for as long as possible. Your info was very helpful….n I care about my health . When was this published, and who published it? I am very Happy to get this list of energy foods. Keep on serving. As I see, it also help in sexual instead of using Viagra’s.